I no longer know what day it is. Jeremy's been gone and back at odd times for the last 10 days. We had a Halloween party on Monday night, we've been out to dinner or dessert many times this week. I've been off schedule with clinical which wasn't on its usual place and time and I've been skipping class which helps with anchoring the week. This morning, I forgot that Jeremy was out of town and when Edda cried out over the baby monitor at 5:30 am, I saw that my bed was empty next to me and I thought - oh, that's so nice of Jeremy to be with Edda this morning so I can sleep in and it wasn't until like 5 min later I remembered that Jeremy was not in the bed because he was not in the house and not even in the state and I went over to check on Edda. Then I couldn't remember if I could sleep only another 20 minutes until 6 am or if I could luxuriate in sleep until 7 am (or, gasp, maybe even 7:30 am) because I couldn't remember if it was a weekday or a weekend. 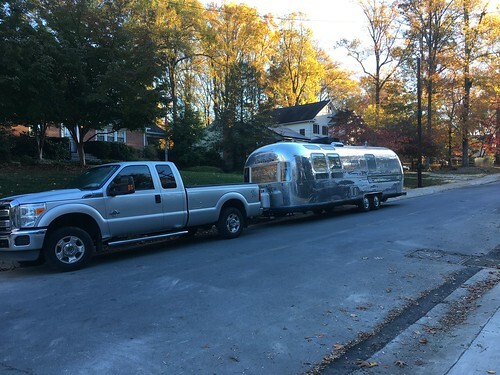 An Airstream mysteriously appeared on our street this am. Now it's gone. But it was beautiful in the moment. 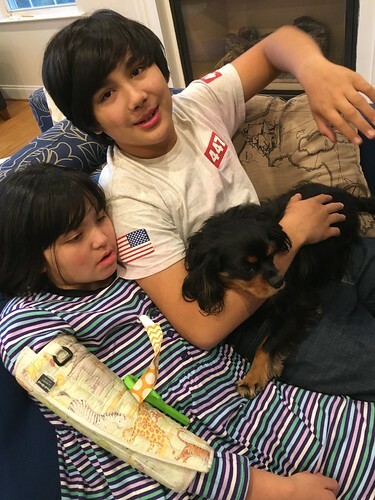 Vince / Edda / Pip together. 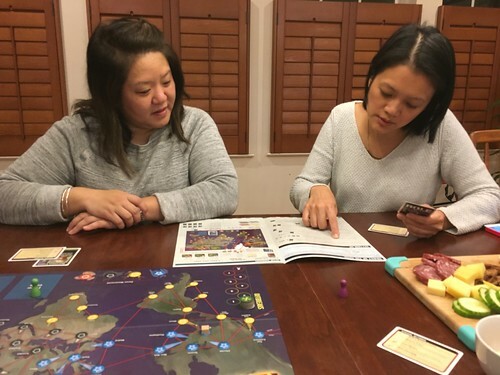 Lana and Sandra came over and we had pizza and played Pandemic - a collaborative board game in which we work together to rid the world of 4 deadly diseases. It's interesting, but we inadvertently cheated towards the end of the game which allowed us to quickly cure the whole world. Next time!